Congratulations, Amy Cummings, on your Meemic Foundation grant. Amy is a teacher at Wood Creek Elementary in Farmington Hills. Linda Baldwin from the Tom Wilson Agency in Plymouth presented Amy with her award. 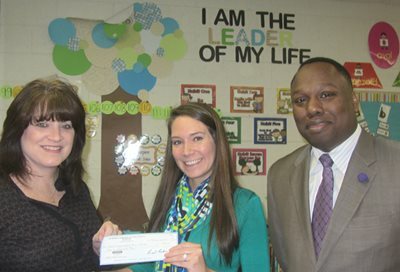 She'll use the check to create a leveled library that will help students find “just the right book” at their level.